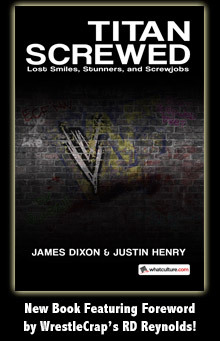 Headlies: WWE Creative Members Take Part In Battle Royale To Determine Wrestlemania Storylines - WrestleCrap - The Very Worst of Pro Wrestling! Stanford, CT – WWE now has a clear picture of what the main storyline into Wrestlemania thanks to an impromptu battle royale among the writing staff. The violent melee took place following the Raw writing crew’s weekly meeting. After rapping up the plans for this evening’s Monday Night Raw, WWE CEO Vince McMahon addressed his writers. After several seconds of confusion, the writers began attacking each other. Chairs, laptops, and spiral notebooks, were used both offensively and defensively. McMahon laughed heartily at the carnage before him. After 30 agonizing minutes in which several writers were severely injured, a winner emerged. 24 year old Writing Assistant Ben Greenberg claimed victory after jamming a pencil in his co-workers forehead and throwing him out of a window. “I love it! Way to go pal! People are going to remember this Wrestlemania for the rest of their lives!” said McMahon proudly. 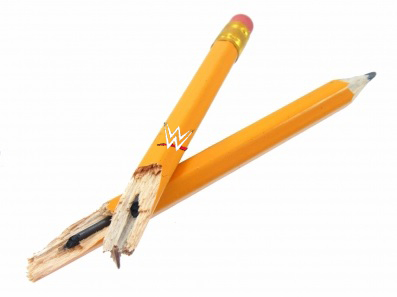 8 Responses to "Headlies: WWE Creative Members Take Part In Battle Royale To Determine Wrestlemania Storylines"
Sadly Mr. Greenberg plunged the pencil into his ear drums and dove out the nearest and highest windows available. I’m not sorry. When a story is written this poorly, it takes me out of it and spoils what could be an otherwise good joke. Anyway, I see you corrected ‘among’ – the most glaring example of autocorrect trying to be too smart for its own good – but not the other stuff. And the last we saw Mr. Greenburg he was living comfortably in a padded cell adorned with a lot of staff in white covered in a white wrap around jacket. He is apparently not taking any calls from friends, reporters, or staff from WWE.